ChocAlive! Raw Chocolate | Cook. Vegan. Lover. ChocAlive! chocolate truffles are one of the best chocolates I have ever had and they are raw vegan which makes them even more exciting. I tired the Dark Chocolate, Dark Chocolate Crunch and Coconut Truffles which were all delicious but I think my favorite was the Dark Chocolate Crunch, the crunch was a great addition. The truffles are creamy and delicious just like the non-vegan ones I remember. My husband was surprised that these creamy truffles could be raw, he didn’t believe me until I showed him the packaging. 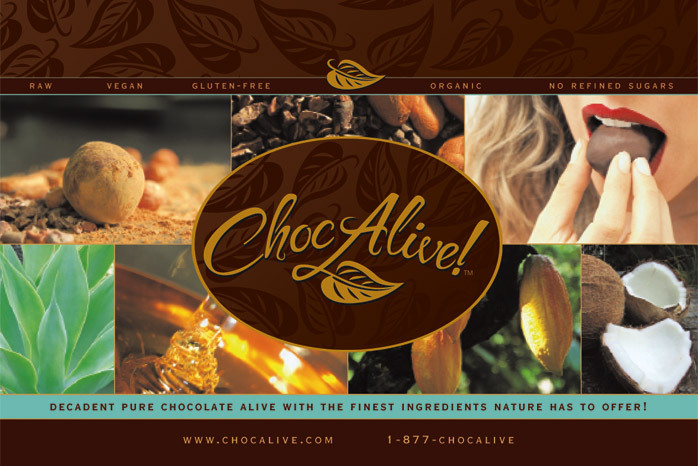 Blogger Disclosure: Cooking For a Vegan Lover received this product free from ChocAlive! This entry was posted in review and tagged chocalive, chocolate, review. Bookmark the permalink. I just went to their website and their products sound delicious! Unfortunately, they are not sold in Florida, or I would be all over these truffles! OMG those look amazing!!!! I need chocolate now. I wonder if they ship internationally.